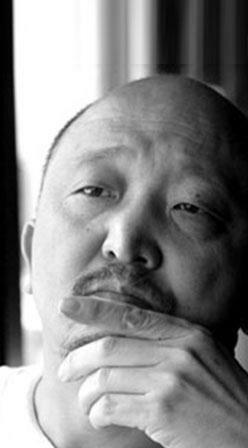 Liu Heng, a renowned Chinese writer and playwright, Vice Chairman of China Writers Association, editor-in chief of Beijing Literature, chairman and first-class writer of Beijing Writers Association, Vice Chairman of Beijing Federation of Literary and Art Circles. He was honored with the Lu Xun Literary Award and Beijing Literary Award for his short story Between You and Me, the Lao She Literary Award for his novel The Happy Life of Chatterbox Zhang Damin. The feature film Ju Dou, adapted from his novella Fuxi, Fuxi, was the first Chinese film nominated for an Oscar for Best Foreign Film. His novel Black Snow was made into a feature film and won the Silver Bear Award of Berlin International Film Festival. His major script writing credits include drama (The Wotou Guild Hall), opera (The Female Teacher in Mountain Village), TV and film: The Happy Life of Chatterbox Zhang Damin, The Story of Qiu Ju, Red Rose White Rose, The Knot, Assembly, Memoirs in China, The Flowers of War.